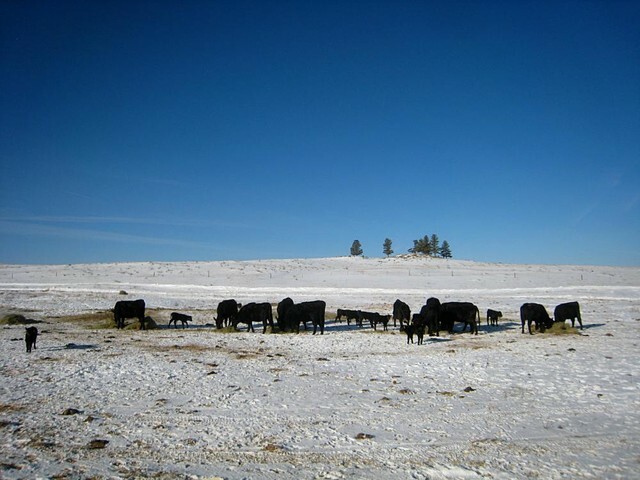 Blue sky, warm temperatures, baby calves running around, it don't get much better than this. I hope it doesn't mean it is going to turn nasty come March. I don't need that. Taken 2/19/2008.